runs several cuckoo clock specialist stores. 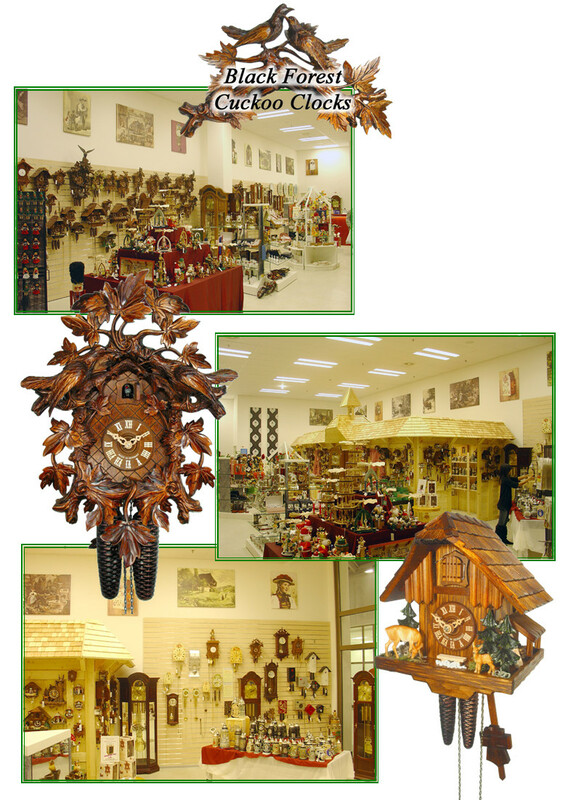 We carry an extensive range of classic cuckoo clocks, modern art cuckoo clocks, quartz cuckoo clocks, as well as German wall clocks and grandfather clocks. To round off the selection of German gift items, we carry many christmas pyramids, beersteins, smokers, nutcrackers, and many more traditional German presents. 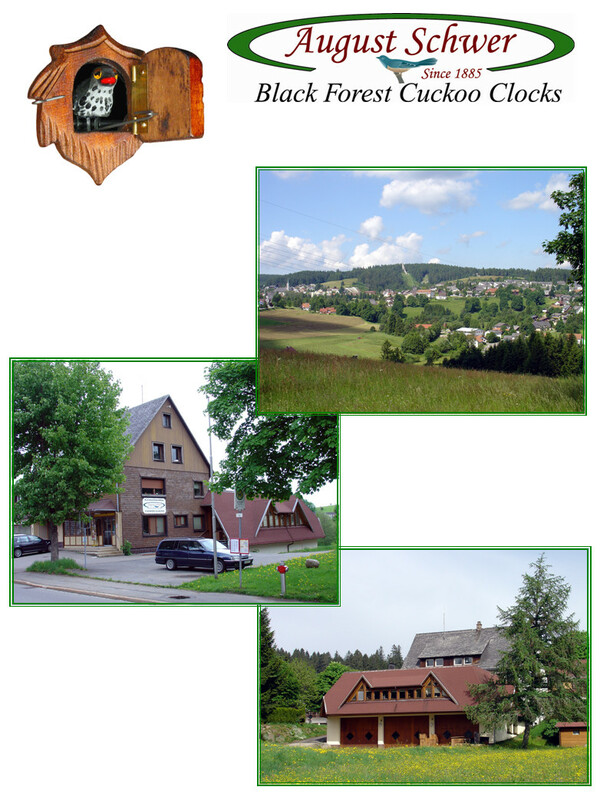 The August Schwer cuckoo clock factory is a family-run business, established in 1885 and located in Schoenwald, in the heart of the Black Forest. It was in this picturesque Black Forest village, that the first cuckoo clock was built by Franz Ketterer. In 1737 he put together what was to become one of the most famous German products to this day. Hardly any other product has maintained its basic design over such a long time with unfaltering success. The August Schwer Cuckoo Clock Factory: Main clock factory to the rear of the building, with large cabinetmaker‘s workshop in the lower basement. Showroom and factory shop to the front. 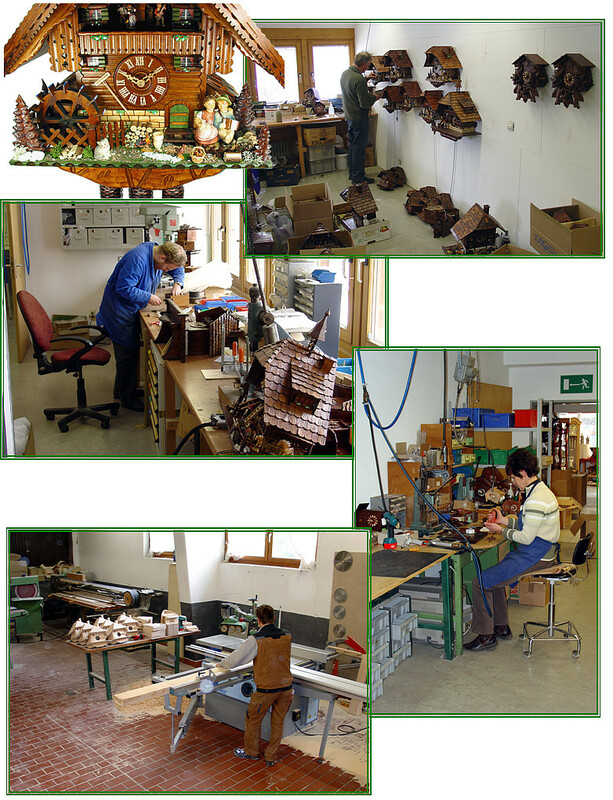 The August Schwer clock factory is famous for its standing as a distinguished premium quality cuckoo clock manufacturer; many award-winning clocks are proof of this claim. With 2 Clock of the Year Awards in 2004 and in 2007, plus a silver medal winner in 2006, August Schwer ranks among the most popular clock factories of the Black Forest. Please take a look at our award-winning clocks. Installation of the movement and cuckoo call technical details.